With a decade-long track record of success, Cliston Brown is THE political columnist who can tell you what's going to happen in the upcoming elections and why. Since 2006, he has called the political composition of Congress almost to the number. Cliston Brown is a political analyst and communications executive and has been successfully forecasting the results of U.S. elections since 2006. He has had particular success in pinpointing key Congressional races and projecting the number of seats won by each of the major political parties in the 2006, 2008, 2010, 2012 and 2014 elections. On average, Brown has projected the final composition of the U.S. House of Representatives within 3.8 seats and the U.S. Senate within 1.4 seats. In the 2012 election, Brown correctly called 49 of the 50 states in the presidential race, missing only President Obama’s razor-thin victory in Florida. He also called the U.S. Senate and the U.S. House within one seat of their final compositions. Most recently, in 2014, Brown called the U.S. Senate within one seat, and the U.S. House within two seats, of their final compositions—coming closer in the House than all of the leading professional prognosticators.He attended both poilitical party conventions in 2008 and 2012. Brown began his career as a journalist in the Chicago area in 1994, covering government and politics, intellectual property law, international business issues, education, and law enforcement. 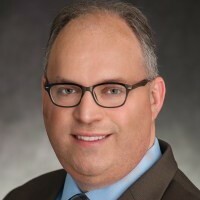 He moved to Washington, D.C., in 2001, where he served for two years as director of communications for U.S. Rep. Pete Visclosky (D-Indiana), then transitioned back into the private sector as a communications professional and political analyst in the insurance industry, holding positions in Washington, Chicago and San Francisco. He is currently a communications executive in San Francisco and writes the “Party Crasher” column on U.S. politics for the New York Observer. He was also a regularly scheduled weekly guest for the “Listen to Cliston” segment, on The Hal Ginsberg Morning Show, until that show's run ended in June 2016. Brown currently resides in Alameda, California, and graduated from Valparaiso University in Valparaiso, Indiana. Find out more about Cliston Brown at http://Clistonbrown.com.